Important: The information in this article is intended as advice only. It is not a replacement for any treatment or medication recommended by your GP. In rare cases, back pain can have serious underlying causes which require medical treatment. Please always consult your doctor to rule this out. Doctors have used MRI scans for back pain since its development in the 70’s. But did you know that incidences of chronic back pain have increased since the use of MRI Scans? I want to share some intriguing research which shows that this is no coincidence, and can point you on the right path for overcoming chronic back pain. Roughly 1% of back pain incidents have serious underlying issues. X-Ray and MRI scans are essential for diagnosing and treating these. More often than not, these scans find no serious problems and no apparent cause for the pain, whether herniated or bulging disks, impinged nerves, etc. Of course, this is a good thing. Doctors refer to this kind of back pain as “non-specific”. Non-specific pain means there’s nothing visible in the scans to indicate a cause for the pain. That’s not to say there isn’t a cause; it’s just that the MRI and X-Ray scans can’t detect it, so doctors can’t give a diagnosis. Here’s the problem. Doctor will often point out signs of “wear and tear” or “abnormalities” in the patient’s spine, even if these issues aren’t the cause of the pain. Because of this, patients are led to believe, despite evidence to the contrary, that the cause of their pain is structural. An important study, which took place in 2013, concluded that chronic back pain is the result of cultural beliefs. Back pain researchers in Australia noted that aboriginal communities are notably free from chronic back pain. They interviewed community members to understand their behaviours and attitudes. While people in these communities did get back pain, it rarely became chronic. They said things like, “Oh, I had a sprained back muscle, but I just took it easy till it got better”. And almost invariably, within a few days or weeks the pain disappeared by itself. These individuals rarely considered it a medical issue. The researchers then investigated the Aboriginal community members with chronic back pain. They discovered these individuals tended to think in very similar ways to people in more westernised communities; They had negative beliefs about the health, strength and ability of their spines. These chronic pain sufferers said things like, “I first got a pain a few months ago. I have a relative who was hospitalised as a result of back pain, so I started to worry that it was something serious going on for me too. I went to the doctor, and he referred me for scans. The scans found no tumours or anything, but they did find I had a ruptured disk in another part of my back. The specialist said that it was wasn’t causing the pain. The specialist also said my spine had signs of wear and tear and other abnormalities. When I heard all that, I started to worry even more — I was afraid my spine was going to get seriously damaged, and I’d need an operation. I also worried they might be mistaken — something must be causing the pain. The pain got worse. Then I started to worry. I became afraid to walk, or bend, or reach, in case I caused a serious injury. And that’s when things became truly terrible”. Researchers concluded that these patients pain increased in severity and became chronic because they believed their pain meant something was wrong with their spine and structure. This, coupled with an exaggerated fear of the pain, changed the way these individuals moved and behaved in their daily lives. Fearing damage, they stopped doing the kinds of physical activities like running and bending — which research has shown is good for back pain. They would also tense up in what is known as “muscle guarding” patterns. We do this when we’re afraid we’re going to hurt ourselves; we tighten up and change our gait to ‘protect’ the painful area. Their belief in a vulnerable spine meant they behaved differently, and it was this that caused chronic pain. Chronic back pain patients, when asked about their image of their spine, often describe bones crumbling, disks bursting, and things disintegrating and rubbing together. Because they tend to believe their pain means terrible things are happening, their anxiety levels are often very high. And because they believe the pain means something terrible could happen, they are much more avoidant of activities and movements that might cause pain. This results in increased tension, strain and pain for these individuals. It’s for this reason that the study concluded that chronic back pain is a product of these negative beliefs and is at least to some degree, “iatrogenic”, meaning that medical treatment causes chronic back pain. Just as with Aboriginal cultures, in western cultures pre-1970, before the MRI scan became widespread, doctors diagnosed their patient’s back pain as “lumbago” or a muscle sprained. Patients rested and, more often than not, recovered quickly without issue. But after the introduction of the MRI, the public learned new concepts like “abnormalities” and “disk degeneration”. Our society began to develop an unhealthy and untrue belief that back pain was due to weak and vulnerable spines getting damaged. 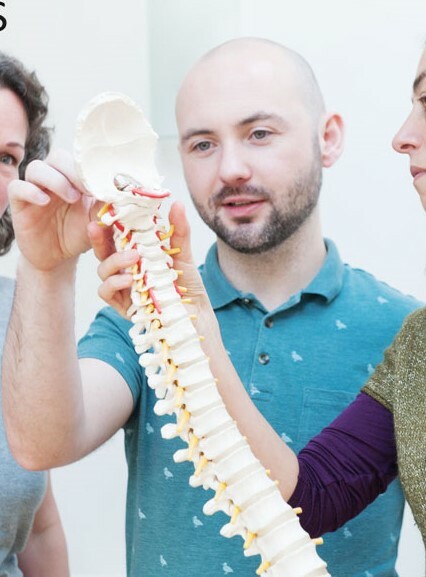 It’s a popular belief that spinal abnormalities are dangerous and cause back pain, but this belief is mostly untrue, except in rarer cases when there has been an impact injury, a bulging disk or other structural abnormalities physically impinging upon a nerve. But aside from these, most back pain — up to 70% of cases — is not structural. The reason this belief has become prevalent is that doctors saw these ‘abnormalities’, told their patients, and people were led to believe they have a damaged, broken spine. Because they were afraid of hurting themselves, they started to get anxious and tense. And tension puts more pressure on already-sensitive tissues, causing more pain and confirming to the patient that there is indeed something bad happening. But spinal “abnormalities” aren’t abnormal. Studies have shown that there’s no correlation between spinal abnormalities and pain. Abnormalities are incredibly common and ordinary. And despite popular thinking, abnormalities rarely link to pain. In 1997, there was a study on healthy people without any pain. Out of 500 subjects, one in five healthy, pain-free people had “disk degeneration”. And almost ninety percent of healthy, pain-free people in their sixties had spinal abnormalities. Despite these high rates of abnormalities, none of the subjects experienced any pain. The researchers urged surgeons to “keep this in mind when interpreting MRI findings”. Clearly, something was not right. If spinal abnormalities aren’t the cause of most chronic back pain, what can we do about it? Spinal abnormalities are harmless for the vast majority of chronic back pain sufferers. It’s an inevitable course of events, just as our skin wrinkles and our hair thins, our strong, robust spines get signs of deterioration. But these abnormalities are not a problem. We must learn to trust our bodies. The first step is realising that chronic pain is almost always caused by other factors, such as poor posture, anxiety, fear of further injury, and other non-serious issues. Pain can feel scary if you believe it’s serious. But if you trust that the pain is not serious and go about your life as normal (provided you have gone for a medical check-up to rule out serious underlying conditions), then you likely will likely see your chronic pain dissipate. If you are living in Cork and would like more help on how to go about this, feel free to contact me to arrange a consultation.